I was sorting some old newspapers yesterday when I came across this article again and somehow reminded me of John Denver’s odd shaped Long-EZ plane that crashed into the Pacific Ocean near Pacific Grove, California killing him on 12 October 1997. Today, 13 years after his death, many youngsters including my son (16) and daughter (11) may not even have heard of his songs. 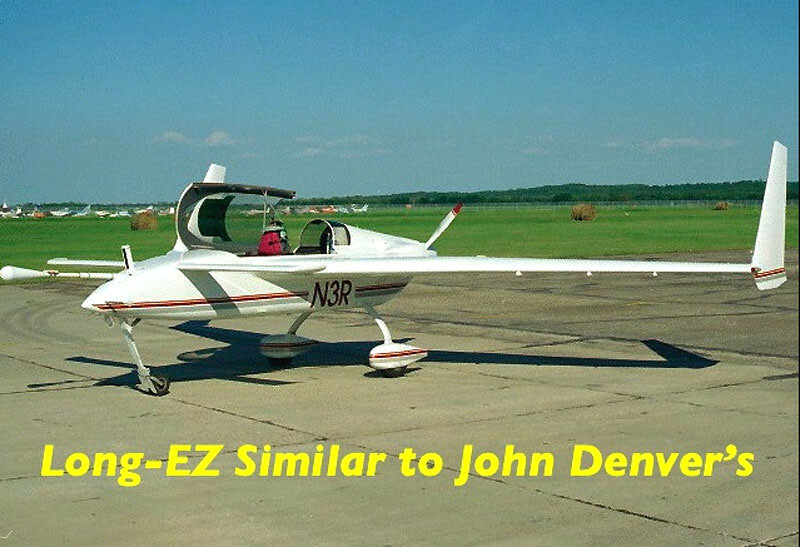 John Denver, a pilot with over 2,700 hours of flying, was flying his newly purchased kit aircraft designed by Burt Rutan (one of the world’s greatest aerospace designer). 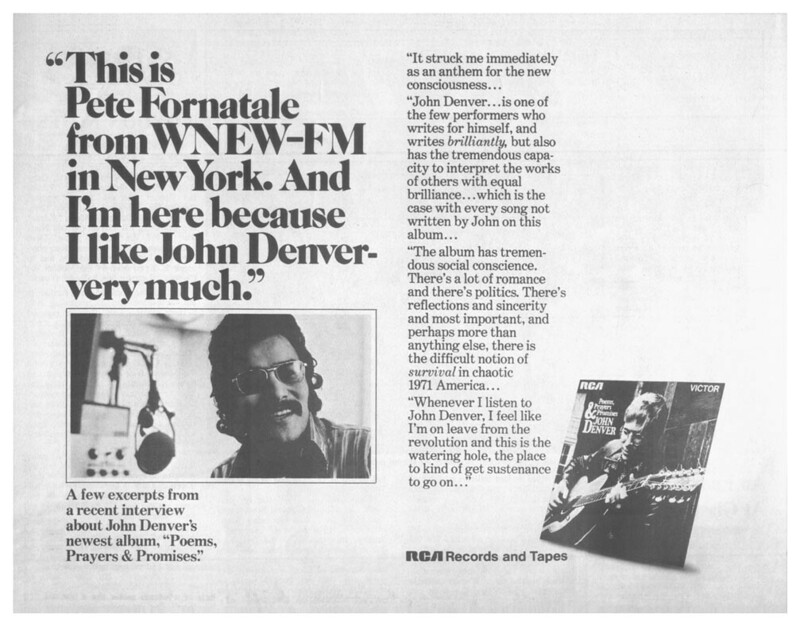 The flaw that led to John Denver’s death were the work of the builder and had nothing to do with the designer. The flaws (placement of the fuel selection valve) were meant to improve on the designer’s work however kill Denver. Other factors that led to his death include his unfamilarity with the aircraft and failure to refuel it. The wreck had badly disfigured Denver’s head and body. I love listening to his songs in the 70s when I was a primary 4 or maybe 5 boy and of course the first song I listened to, that probably made him popular, was “Take me home, country road“. You may see how this song Rhymes and Reasons was interpreted here, interesting. This was his debut album after going solo as before he was usually sang and performed with groups. The other song “Leaving on a jet plane” in his debut album, was originally named “Babe I hate to go”, which was a demo song Denver gave out as Christmas presents. The folk group Peter, Paul and Mary sang this song and their version became the Billboard Hot 100 number one hit. 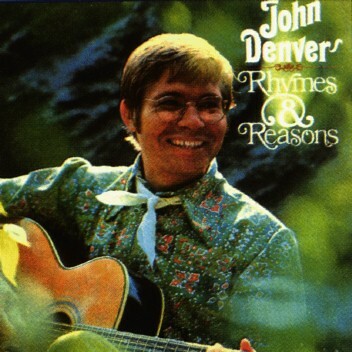 Synchronicity are things seem like more then mere coincidence and one good example is John Denver’s songs. 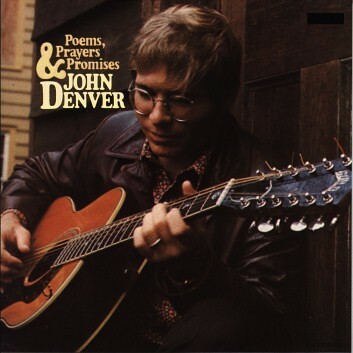 One may relate his song “Leaving on a jet plane” to John Denver died in his plane…. The other song “Rocky Mountain High” that he wrote relate how much he loved Colorado till his death. The capitol of Colorado is Denver – he adopted this surname “Denver” instead of his name “Henry John Deutschendorf, Jr”. Annie’s Song : This song was written as an ode to his then wife Annie. It took him only ten and a half minutes in a ski lift on top of the Bell Mountain in Aspen, Colorado. Thinking about his wife at that moment inspired him to write this song. Perhaps Love : This song became a commercial success because the record player couldn’t work at that time. Denver wrote this song and recorded with Pacido Domingo as a duet. The owner of the radio station wanted to hear it but the record player was down so he played it live over the air. In seconds, calls came in asking where they could get the record and it became a smash hit! Interesting? 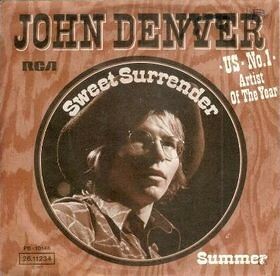 Last but not least Sweet Surrender : This song was chosen as the lead single from the concert album “An Evening with John Denver” recorded in 1974. If you want to read a bit more on him, here it is. Though we may have CDs now, but nothing beats listening to his song on tapes and records. Simple, unpretentious, I love his songs. Thanks for the post. ‘Sunshine on my Shoulders’ was used in a movie about cancer. Anyone remember that movie? 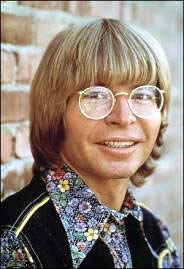 John Denver is also one of my favourite singers. I like his clear sharp voice. My favourite JD songs are Annie’s Song and Perhaps Love. Even as I type this comment, I am listening to my CD of his greatest hits Vol 3. 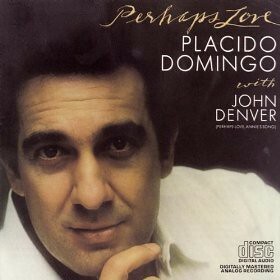 However, I only like about half of the 11 songs in this his later works; including the Perhaps Love duet with Placido Domingo. I suspect he was the one who started this trend of pairing with a Tenor to do a pop song. Do you recall that at one time, RTS/SBC used to air a JD show; or perhaps you were a bit too young then? Thanks for posting that video clip of the JD-PD duet. I never get tired of listening to this song. And it so nice to see the friendly relaxed partnership. I have a dvd of Simon and Garfunkel concert recorded somewhere in 2003. The uncomfortable body language esp. from Paul Simon is really painful to watch. But man, the music is still beautiful. And what a thrill to see that Art Garfunkel could still hit the high notes in Bridge over Troubled Waters. I’m not so sure if it’s called JD show but I do remember other shows like Osmonds or Donnie and Osmond in the B/W tv era. Also the Jackson family when Micharel Jackson was still a very young kid then. one of our – actually, not mine but my former students – favourite camp songs was ‘take me home,country road’. my own favourite is any song. i mean ‘annie’ song. John Denver. Great singer/songwriter. ‘Annie’s Song’ is my favourite. Fantastic blog. You fill up my senses! 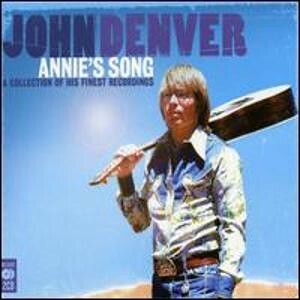 Yes I remember John Denver and I just missed him and his songs especially Annie’s Song. His songs melody will always remained in my mind. He don’t deserve to die in this tragic way. Well may god bless him of the good things he did. 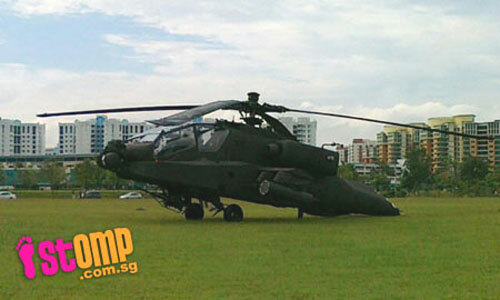 With it all I was like JD an aircraft pilot also. If possible I would choose the same death as John Denver. their waste out of mattresses and pillows. me sold at the gate. Steam clean the carpets often at least three time per year. Rocky Mountain High is my favorite song! They change the lyrics to ,you light up my senses. It’s now, you light up my Cessna, with salty blue water.